I believe it is important that we teach our children how to pray at a very early age. I've always included my small people in our prayer time from the time they could talk, letting them each say their own little prayer. 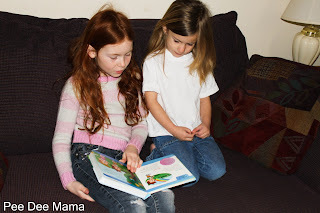 Roma Downey, of Touched By An Angel fame, has written a sweet book Little Angels Prayers for Every Day for small children to help them learn how to pray. 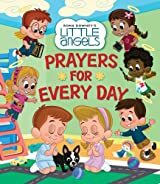 Little Angels Prayers for Every Day features more than 50 simple rhyming prayers that cover a typical day and the typical worries of a young child. From waking in the morning to going to sleep at night, from thanking God for a meal to praying for His comfort when afraid, the prayers here will help little ones to see that any moment is a good moment to talk to God. Relevant Bible verses are scattered throughout the book as well! I also love to pray. 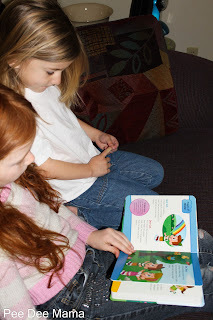 I also like that the prayers were simple enough that Little Red could read them to Sassy Pants. You can learn more about this book at Ideals Books' website and Facebook page. You can also hear from Roma Downey about writing this book in this YouTube video. Not only was I lucky enough to get to review this book, but one of my readers can win their own copy of Little Angels Prayers for Every Day. Simply enter the giveaway below!